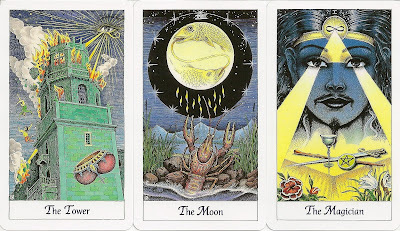 The Cosmic Tarot was first published by FX Schmid, a bavarian company. Unfortunately this company was sold in the 1990s. The deck continues to be published by AGMüller but is also distributed by US Games. My edition was published 1998 by AGMüller and was printed in Belgium. 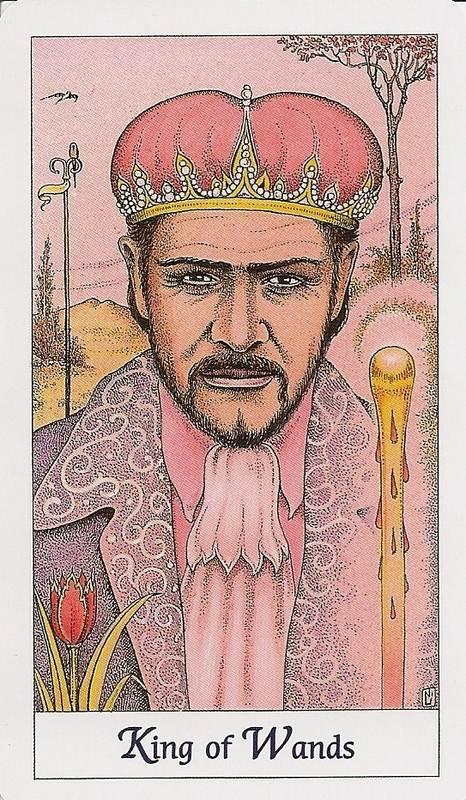 There are several familiar faces in the deck as some of the figures are based on Hollywood movie stars (e.g.Sean Connery as King of Wands). The four suits are titled Wands, Cups, Swords and Pentacles. Justice is at number 8 and Strength is at number 11. The Court cards are titled King, Queen, Prince and Princess. Wands are associated with fire and Swords with air. The titles are traditional RWS and shown at the bottom of each card. While early editions of this deck published by FX Schmidt had hand written titles, the more recent editions have a standardised type font. The deck comes with a LWB and no companion book, but there are three books published about this deck, which may be purchased separately; One authored by Jean Huets, another one written by Laura Clarson and a third book by Lösche himself, which is only available in German and Spanish. The art is pen and ink, with pastel colors dominating. The - non-reversible- backs show a star field containing a pentagram with a white rose at the center. 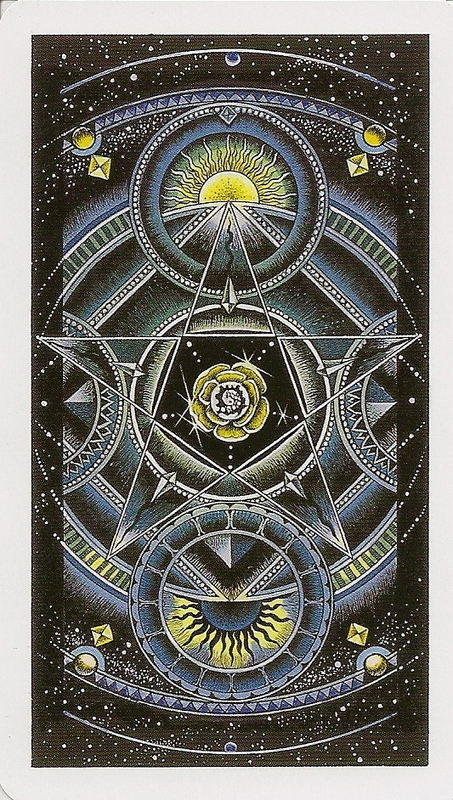 At the top point is a golden sun rising and a black sun is found at the bottom of the card.